Rob Davies, minister of the Department of Trade and Industry, launching the Buy Back South Africa campaign in Sandton on Tuesday 20 November. South African consumers and procurement managers at large companies are being urged to fight back against cheap, subsidised imports and help create and save more jobs by buying locally produced manufactured goods, in a new campaign, Buy Back SA, launched by Trade and Industry Minister Rob Davies on Tuesday 19 November. The 2008 global crisis hit South African manufacturing hard, and cost the country round 300 000 jobs. 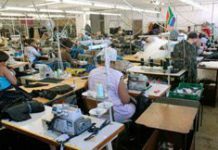 In the last few years South Africa has suffered the double whammy of substantially reduced external demand for products and fierce competition from other manufacturing countries. Difficult economic conditions in the US and Europe – South Africa’s principal export markets – have been a severe knock for local manufacturers. The Buy Back SA campaign, announced at the Industrial Development Corporation offices in Sandton, Johannesburg, has been funded by the Department of Trade and Industry (DTI), the Manufacturing Circle, Absa and Proudly South African. A key part of the venture is a video featuring veteran South African actor John Kani urging support of localisation and the manufacturing sector, which will be aired on national television. The ad was paid for by both the government and private sector. “This is a clear sign of the close working relationship that is in the process of being built between government and industry, and one that we think can be strengthened and deepened in a number of ways,” Davies said. 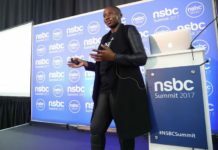 “We are launching the first phase of this campaign before the festive season because we want to impress upon consumers and stakeholders in the private and public sectors the importance of buying locally manufactured goods and products,” Davies said. South African manufacturers, he said, made products of good quality, available at reasonable prices. The South African government has developed a number of policy instruments to support localisation, the minister said. These include local sectors and products – including clothing and textiles, buses, rolling stock and power pylons – the DTI has designated for government procurement under the Preferential Public Procurement Finance Act. 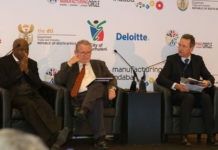 “We have also reviewed and put in place a new policy framework for the National Industrial Participation Programme to oblige overseas companies that have benefitted from state contracts above $10-million to invest a percentage of the contract directly into the productive sectors of the economy, wherever possible in the sector in which they are involved,” Davies said. The minister said buying local is not only for consumers. The Manufacturing Circle represents many big South African manufacturing concerns. About 80% of the country’s manufacturers procure some 40% of their input locally. Coenraad Bezuidenhout, executive director of the body, said at the campaign launch that South Africans had stopped giving preference to local goods. “For manufacturers, the last couple of years have been quite difficult,” he said. After the Manufacturing Circle, Proudly South African and Absa bank contributed the initial funding, Buy Back SA will now need another R12-million to continue the campaign. “I want to appeal to the private sector,” Davies said. “We need to expand this campaign.” He invited companies to register by emailing info@buybacksa.co.za. 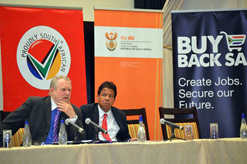 Davies said the Buy Back SA campaign, while a government initiative, was not inappropriate for a free market economy. In the US, the Buy America campaign was an integral part of efforts to rebuild that country’s economy after the 2008 crisis. A close partnership between the government, private sector and further education institutions, Buy America was also an effort to save and create jobs. 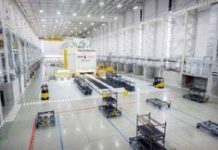 “The US economy has reportedly created 500 000 new high-quality jobs in the manufacturing sector since 2010, with 50 000 of these directly attributable to those efforts,” Davies said. Many African countries are rich in commodities, but development is held back by an inability to turn those commodities into manufactured goods. The more resources countries take out of the ground and export, unprocessed, to foreign buyers, the more intrinsic capital is lost. 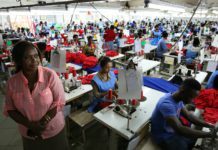 Manufacturing creates jobs and skills, and established manufacturing industries create a base of skills, capital and production infrastructure that can cushion country against the often irrational shocks inflicted by the global economy. Other than the 2008 meltdown, the over-valuation and volatility of the rand has also undermined South Africa’s manufacturing competitiveness, as have higher electricity, transport and labour costs, and strike action. Manufacturing has also suffered from local competition. 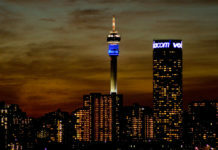 Over the past two decades, the sector’s contribution to the South African economy has been gradually eroded by other industries, particularly the services sector. In 1994, manufacturing’s contribution to GDP at market prices was 20.9%. In 2012 it was 12.4%.